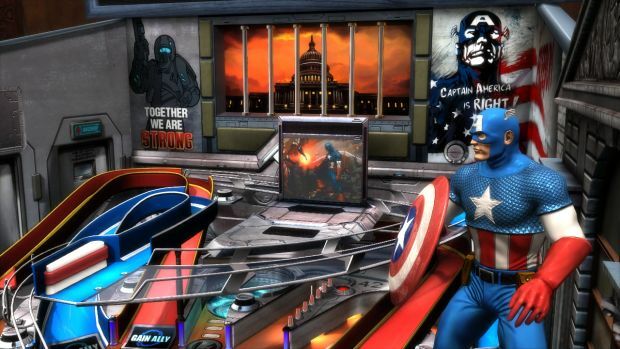 The infamous six-part comic event from the Marvel universe is now in playable pinball form thanks to Zen Studios. The new table will let you side with either Iron Man and his Superhuman Registration Act, or with Captain America as he fights against registration. The new table will be a standalone DLC for Xbox Live Arcade, Windows 8, PlayStation Network as a cross buy for either the PlayStation 3 or PlayStation Vita, Mac App Store, iTunes App Store, and Google Play sometime soon. So basically almost every platform as Zen Studios takes over the world.